We were really hungry, but could not decide on what to fix to satisfy the hunger pains. When the fridge door was opened the eggs were staring at me, and I had recalled seeing a few recipes lately that had salads prepared and topped with a fried egg. With the examining of all the rest of the food items in the refridgerator, this was the idea we came up with: Fried Egg Snap Pea and Sweet Pepper Salad. Take a look at the protein this recipe packs. A 1-cup serving of cooked snap peas contains 10 grams of carbs and 4 grams of fiber, and these are the right carbs for your body’s source of energy. A 1/2-cup serving snap peas contains 2 grams of protein. Snap peas also contain potassium a mineral needed for building proteins and muscle, and it also helps control the acid-base balance in your body. 1 ounce of sweet peppers (red, yellow, orange, and green) has about 0.28 grams of protein. A 1-cup serving of cooked eggplant contains less than 0.82 g protein. The mixed greens have from 4 to 5 grams of protein in a 1 cup serving. One large 2 oz. whole egg without the shell contains 6 grams protein. Of this protein, 3 grams is contained in the egg yolk and 3 grams in the egg white. We are showing the amounts of protein that is contained in this recipe because you could have it for breakfast. The protein and the fiber contained in the vegetables and mixed greens, can control your blood glucose to healthy levels, also providing extended energy. Which fills you up longer, and you won’t snack on junk food before lunch. In other words this salad is great to help you control a healthy weight. Here is what you will need. The preparation is for one serving, you will increase each ingredient depending on the number of servings you want. In a large mixing bowl, adding to the bowl first, 1/8 teaspoon of sea salt, a few pinches of black pepper, juice of 1/2 a lemon, 1 tablespoon of organic honey, 1/2 teaspoon of dried basil, and 4 tablespoons of avocado oil. 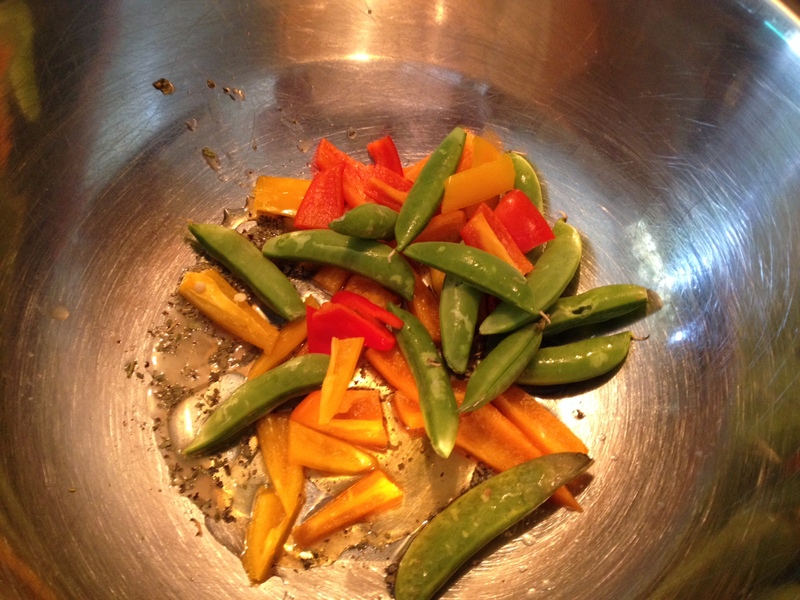 Next add about 10 snap peas, 1 each of red, orange, and yellow mini-sweet peppers sliced into strips without the seeds. 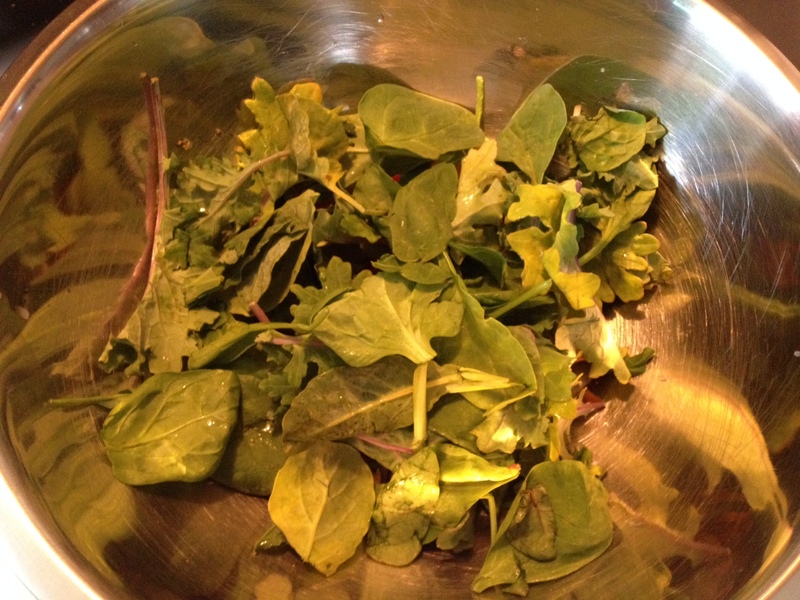 Next add two handfuls of mixed greens. Next, in a heated frying pan with a little avocado oil, fry some chopped eggplant, about 1/3 of a cup. Add that to the mixing bowl with the other ingredients and mix all together until all is well coated with the wet ingredients. In the same frying pan, add 1 tablespoon of butter, add on large egg with 1 tablespoon of water, place a lid over the egg and fry for 1 minute. 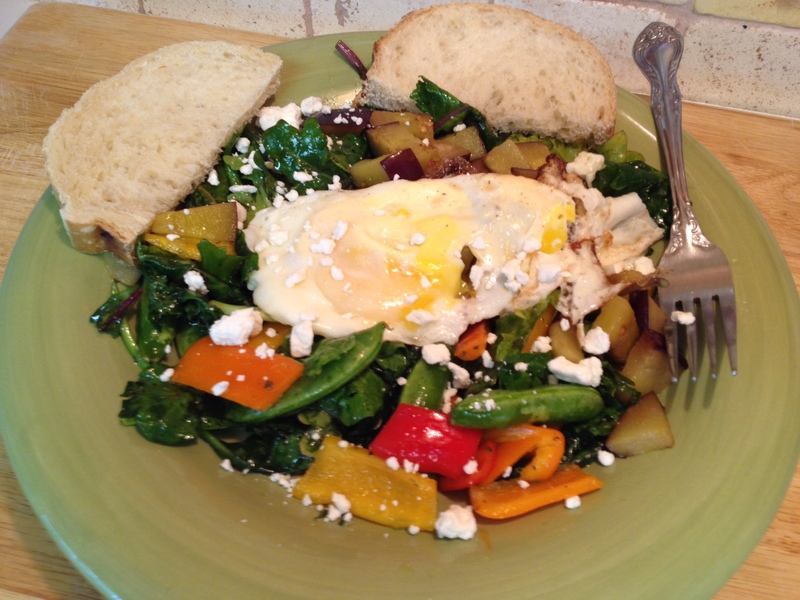 Plate the salad greens, top that with the fried egg and serve. If you wish you can top that with some goat cheese, which adds more protein to this meal. Also serve with a slice of sourdough bread and enjoy!! Here’s a FREE e-book our gift to you from Splendid Recipes and More: – Breakfast and Your Health – Click here to download for FREE. This entry was posted in Breakfast, Soups and Salads and tagged Cook, Egg, Egg white, Eggplant, Fried egg, Fried Egg Snap Pea, Fruit and Vegetable, Goat cheese, Mixed Greens, organic honey, Pea Salad, Salad, Snap pea, Snap Peas, Sweet Pepper Salad. Bookmark the permalink. 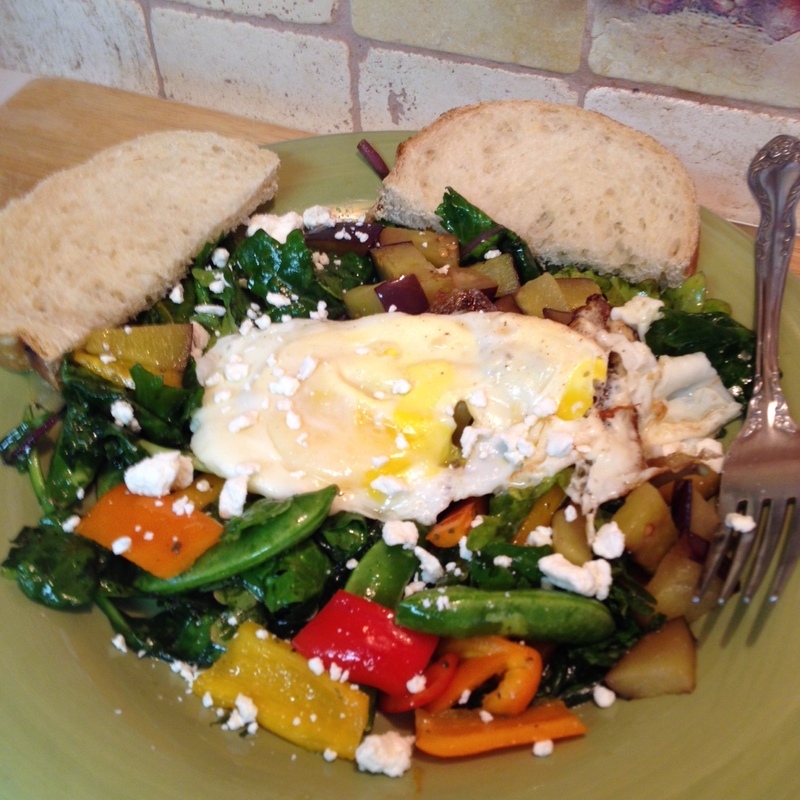 Love the combination of eggs and peppers in all forms.